Killane Manor wins 2nd NHBC ‘Pride in the Job Award’. Congratulations to our site manager Robert McKeown on winning his second PIJ award. His attention to detail and quality of workmanship has again been rewarded. This is a much coveted accolade and only awarded to the highest achieving managers within the construction industry and something Robert can rightly be proud of. 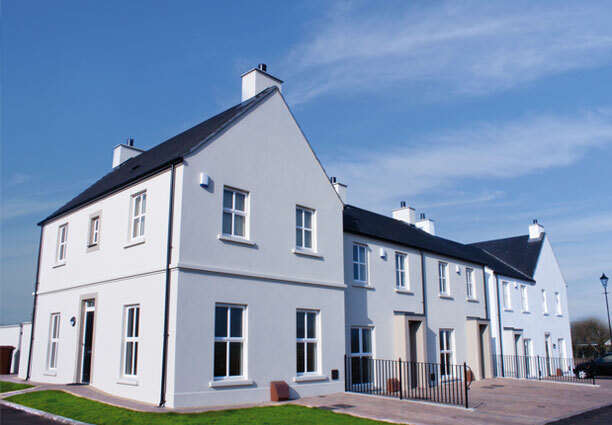 Come and see for yourself the difference in our homes at Killane Manor by making an appointment for a private viewing with either Robert T. 07712 435336, Neal 07872 837186 or one of the appointed sales agents. One year ago we were searching for an affordable 3 bedroom semi-detached townhouse in Ballymena with a splash of luxury. After many searches and countless visits to many show homes we finally found a place that we could call home. I think it was the overwhelming feeling of outstanding quality that helped us to choose a home. Our 3 bedroom townhouse is truly gorgeous. I wanted a second home on the North cost of Northern Ireland. The coastline here is truly magnificent. The views across the Atlantic ocean are breathtaking. I was looking for a modern home and found Park Manor. I really appreciated the vision of the developer. Not many seem to care but Rockfield really do. Attention to details, layout and finish make my 2 bedroom apartment the envy of all my friends. I'm now thinking about a permanently moving to Ballycastle. I love my new home. By going the extra mile with our luxury finishes in all of our homes, we at Rockfield Developments believe that it really does make all the difference to the end result.